In praise of push buttons: my podcast player. 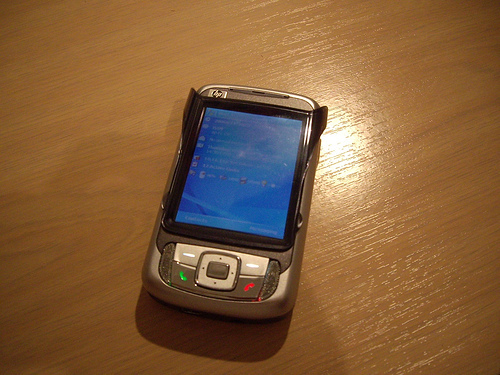 I use my mobile phone (iPAQ rw6828) as my podcast/music/audiobook device. Why? Because of push buttons. skip forward (great for skipping those interminable twit ads). skip back (to re-listen to a bit drowned out by traffic noise on my walks. The volume/play/pase/stop/next track/previous track I can also do from my bluetooth headset. I do have an iPod Touch but it isn’t my main podcast device because you have to fiddle with it too much to do much of the above. I am especially annoyed with the Touch bluetooth support that doesn’t include previous/next functions. Hopefully this will be fixed in a subsequent release.